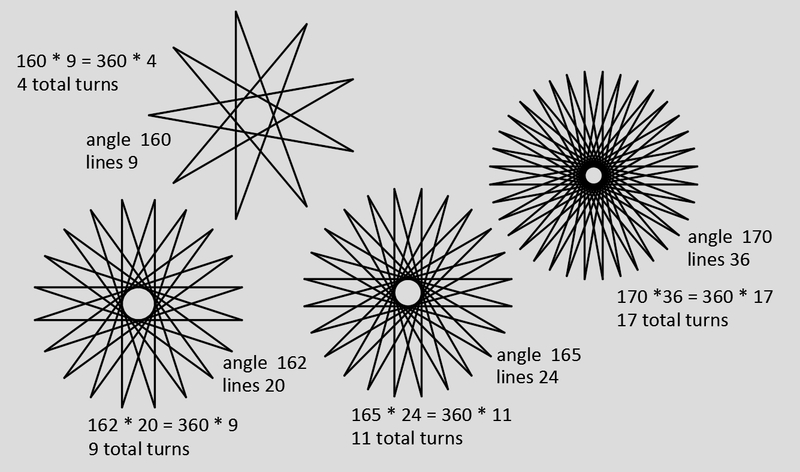 Regular polygons are called convex and star polygons that cross themselves are non-convex. For both types the vertexes (vertices) are on a circle that has a center and radius. 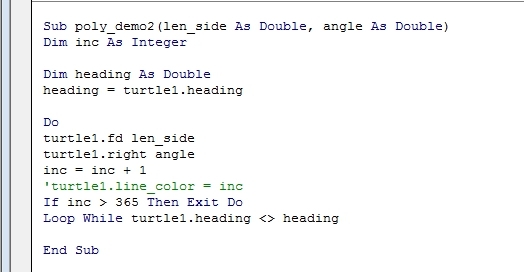 The turning angle the turtle uses from line to line is more generally called the exterior angle of a polygon. Its the angle from the line extended to the next line. 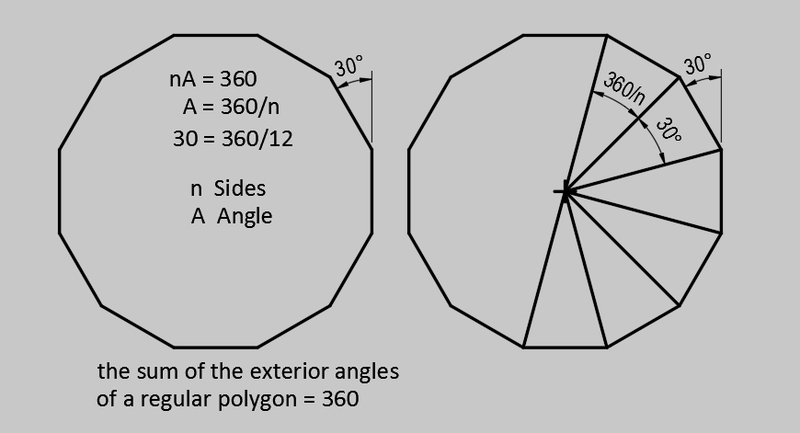 The sum of the exterior angles of a regular polygon = 360. To find the radius of a regular polygon, divide it into triangles. each wedge has a central angle of 360/n. Bi-Secting one of these triangles creates a right triangle with a known angle and a known side length. 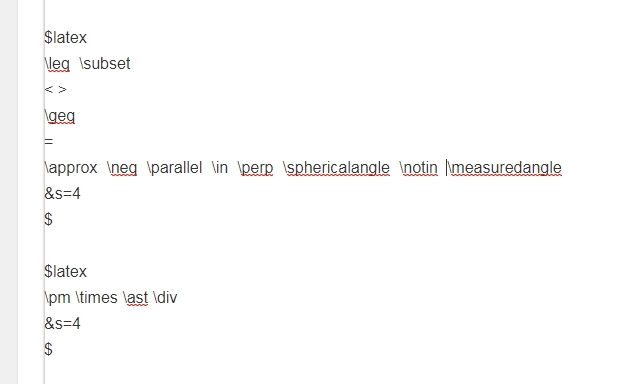 This formula works for regular polygons and for star polygons. If a line is drawn from the center to each vertex, and a line drawn perpendicular to the edge, right triangles with known sides and angles are created. now that we have the radius, the center point can be found. 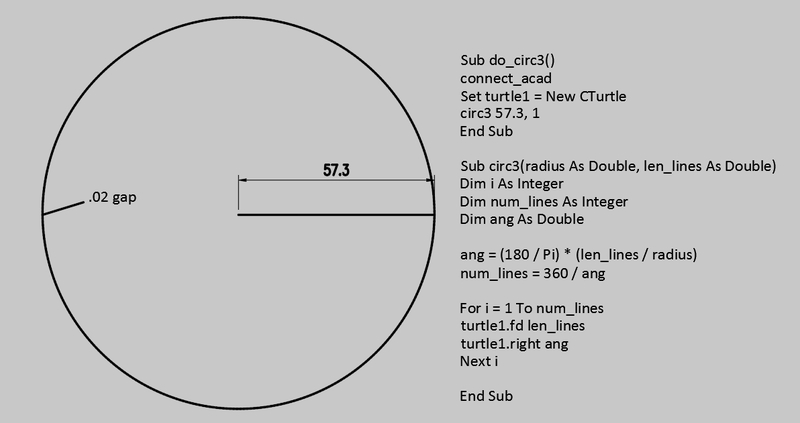 Think of the turtle on a vertex, heading turned to the next line. It is on a triangle we already solved to find the radius. we use the same angles. 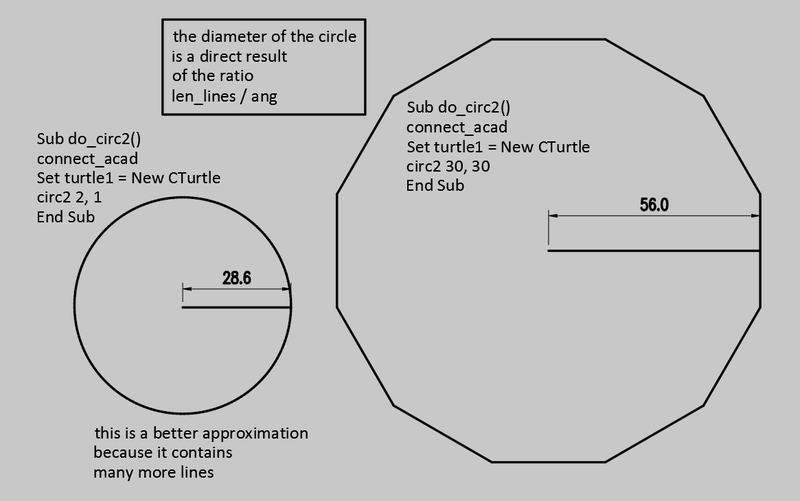 The angle that the turtle needs to turn to look at the center is 90-A/2. 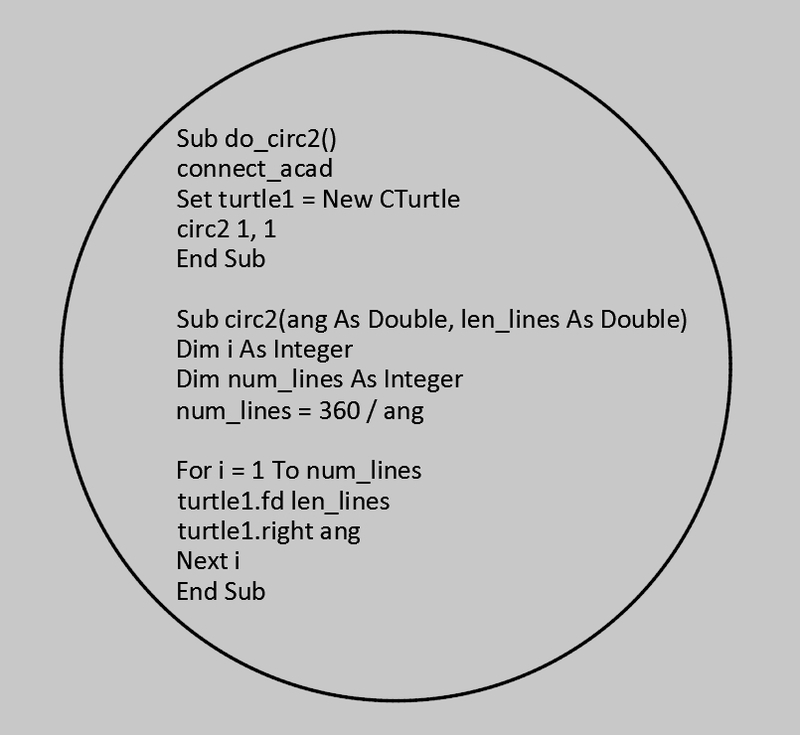 I use acad utility polarpoint, not the turtle, to draw the circle. 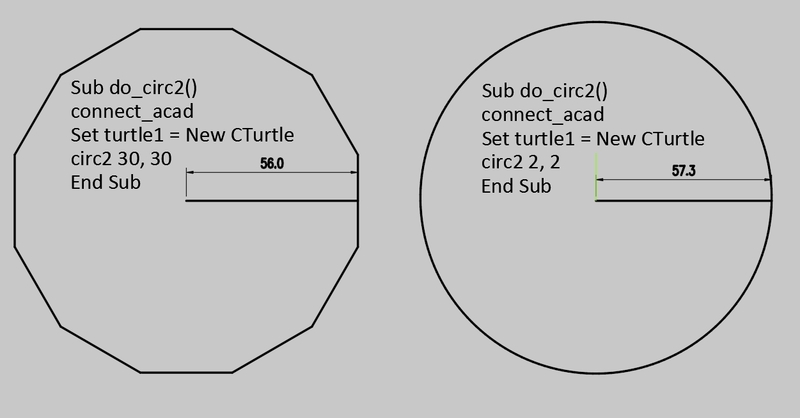 I wrote a new turtle class function to return the current turtle position as a point using a dynamic array and used it directly in PolarPoint. I am not going to try to draw these triangles, but all the graphics check out, it seems like my formulas derived from simpler polygons gives me the correct center and radius. The inputs for this example problem are the angle 174 and 360. 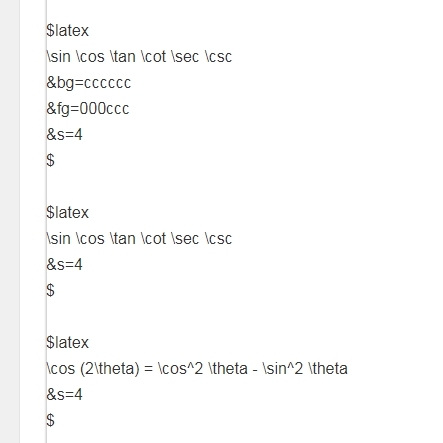 When a multiple of 174’s add up to a multiple of 360, the program stops. In advance we do not know how many 174s will add up to how many 360s, but we want the first one. 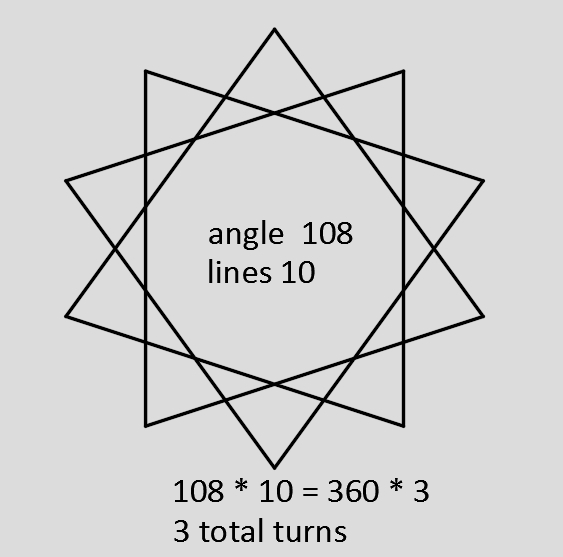 This is the Least Common Multiple of Angle A (174) and 360.
the least common multiple is 360 * 29 = 10440. The LCM can be figured different ways. There is a famous method of Euclid, and Euler, (no Eugene). There is an excel function to do it. Sample VBA code can be downloaded. 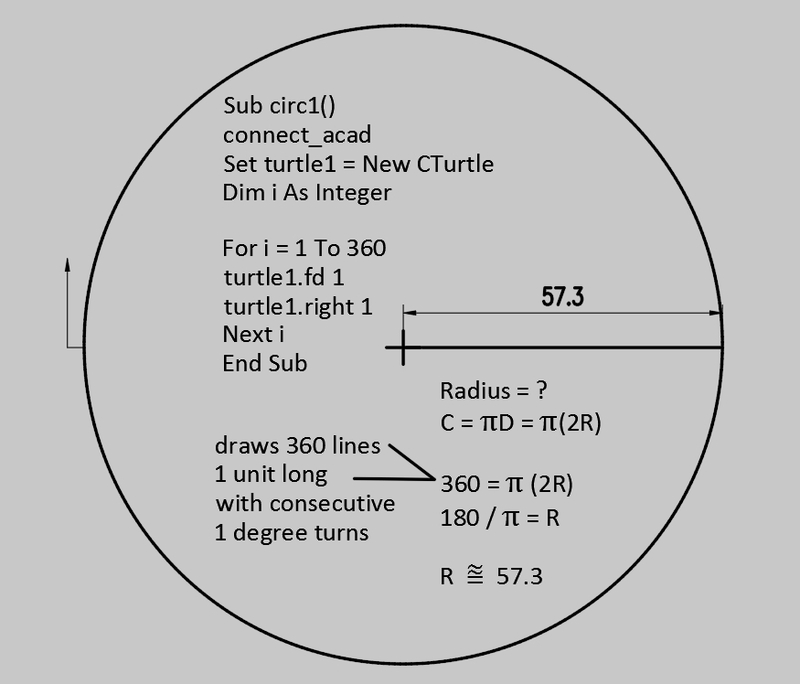 The simplest method conceptually is the same way the turtle does it, by adding angles one by one and testing the result. 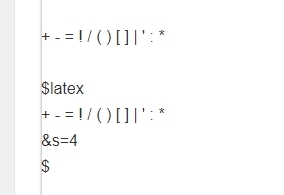 Here is a primitive LCM function based on the same method, not intended to be the final version. 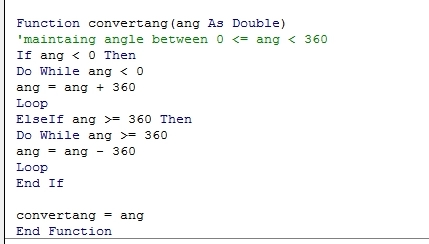 The angles are added one by one and the result divided by 360 looking for a remainder, breaking out when the remainder is zero. The VBA mod operator works accurately only with integers. I had some overflows on the multiplication. The function seems to work better when all is type Long. Now the sub to draw the polygon can be taken back to its roots. The loop calculations can be removed, because we will know in advance how many lines will be drawn. 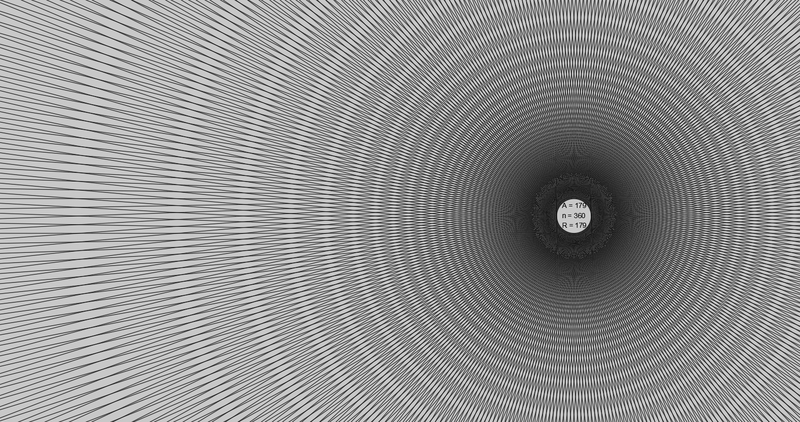 Text information labels are added after the drawing is complete. The sub to call the poly can be fancy or plain. 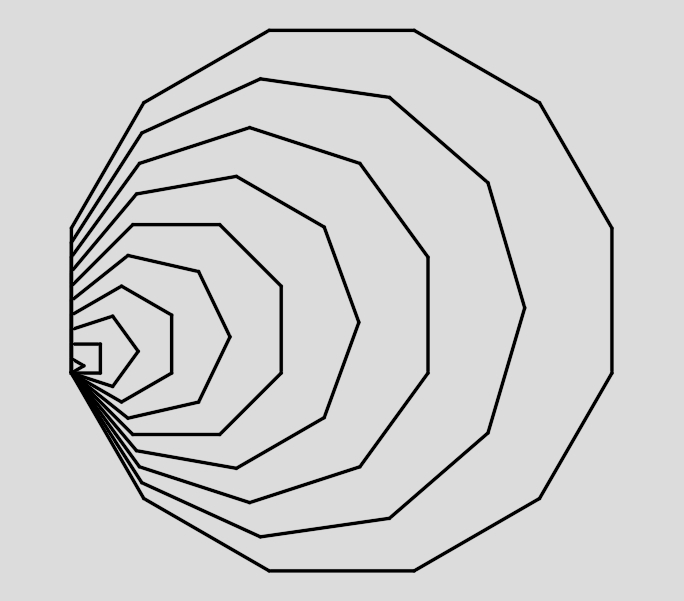 It can draw families of polygons. It can loop and draw a range of turning angles. 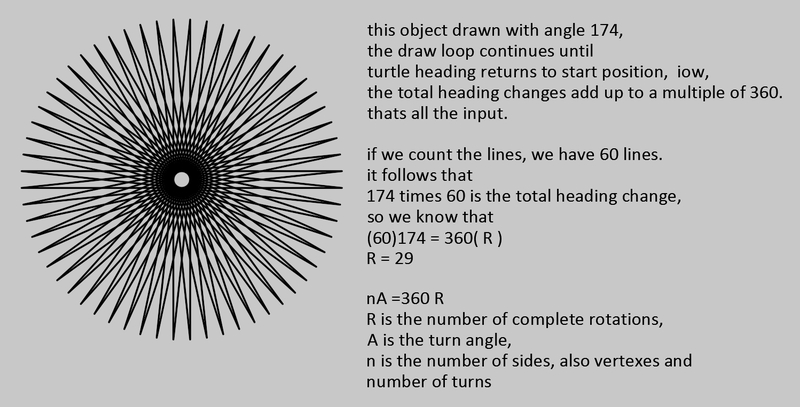 This particular one will draw all the polygons with total turns (R) = 29 of angles between 1 and 180.
just testing and experimenting with latex math typesetting, don’t read. size parameter 5 does not display. 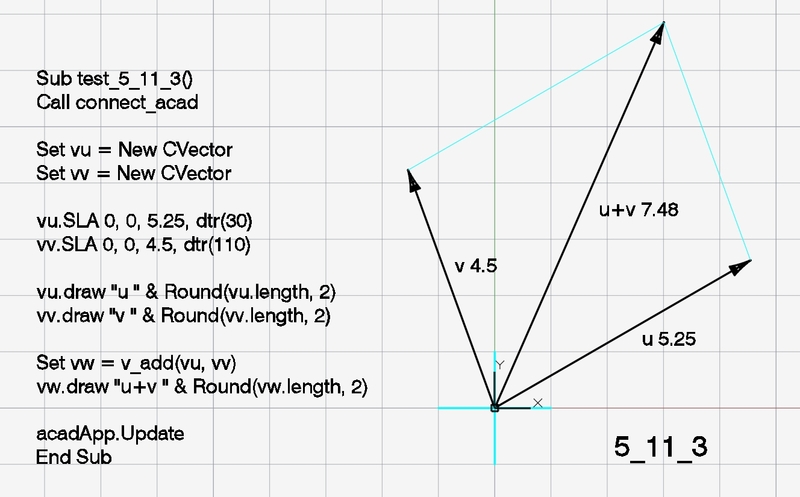 I have been working on Vector class VBA code to draw Autocad lines as vectors. The first version separated 2D and 3D vectors into two different classes. 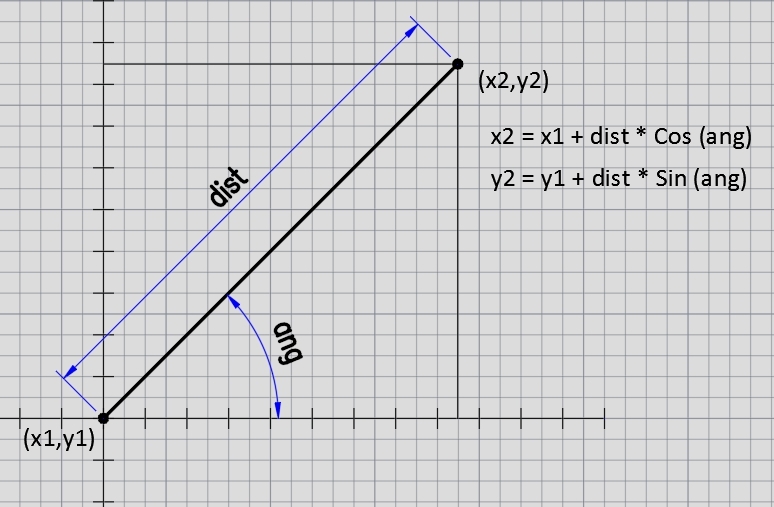 One reason to do this is the vector angle is figured differently. Another is I wanted to use a 2D or a 3D arrow head. Many math books, analytic geometry or calculus, introduce them in two different chapters. 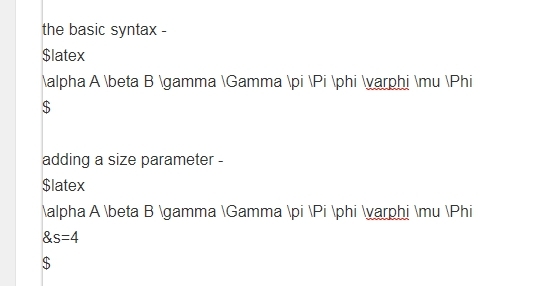 The goal is to make VBA vector algebra notation as similar as possible to math notation. Or at least readable. Now I have combined the classes, just ignoring any difficulty, to eliminate duplicated code, while i use and tweak. 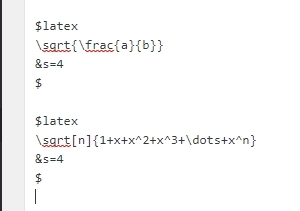 I also removed the addition and scalar multiplication from the class module to make the parameter list complete and not a function of one of the vectors (tho for mult this was not necessary, it will be useful for dot product). A work in progress. I will post code when i am satisfied with it.